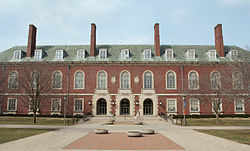 The University of Illinois at Urbana-Champaign (U of I, University of Illinois, UIUC, or simply Illinois) is a public research-intensive university in the U.S. state of Illinois. As a land-grant university, it is the flagship campus of the University of Illinois system. 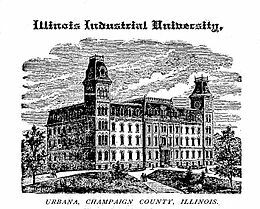 The University of Illinois at Urbana-Champaign (founded, 1867) is the state's second oldest public university, after Illinois State University, and a founding member of the Big Ten Conference. It is a member of the Association of American Universities and is classified as a RU/VH Research University under the Carnegie Classification system which denotes very high research activities. 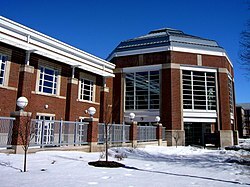 The campus library system possesses the second-largest university library in the United States after Harvard University. The university comprises 17 colleges that offer more than 150 programs of study. Additionally, the university operates an extension that serves 2.7 million registrants per year around the state of Illinois and beyond. The campus holds 647 buildings on 4,552 acres (1,842 ha) in the twin cities of Champaign and Urbana (together known as Champaign-Urbana); its annual operating budget in 2016 was over $2 billion. University rankings compiled by U.S. News and World Report, Times Higher Education and the Academic Ranking of World Universities all rank Illinois among the top 50 universities in the world. 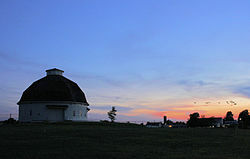 Between several cities, Urbana was selected in 1867 as the site for the new school. From the beginning, Gregory's desire to establish an institution firmly grounded in the liberal arts tradition was at odds with many State residents and lawmakers who wanted the university to offer classes based solely around "industrial education". The University opened for classes on March 2, 1868, and had two faculty members and 77 students. " 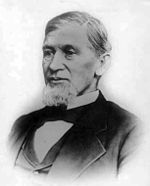 Gregory is largely credited with establishing the University as it is today. Gregory's grave is on the Urbana campus, between Altgeld Hall and the Henry Administration Building. His headstone (mimicking the epitaph of British architect Christopher Wren) reads, "If you seek his monument, look about you." The Library, which opened with the school in 1868, started with 1,039 volumes. Subsequently, President Edmund J. James, in a speech to the Board of Trustees in 1912, proposed to create a research library. It is now one of the world's largest public academic collections. In 1870, the Mumford House was constructed as a model farmhouse for the school's experimental farm. 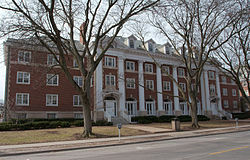 The Mumford House remains the oldest structure on campus. 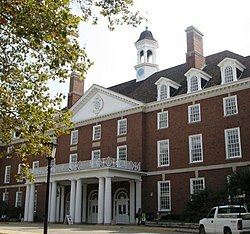 The original University Hall (1871) was the 4th building built; it stood where the Illini Union stands today. During the Presidency of Edmund J. James (1904-1920), James is credited for building the foundation of the large Chinese international student population on campus. James established ties with China through the Chinese Minister to the United States Wu Ting-Fang In addition, during James's presidency, class rivalries and Bob Zuppke's winning football teams contributed to campus morale. What are the academic rankings for University of Illinois at Urbana-Champaign? 1. number 24 for Academics. What universities are similar to University of Illinois at Urbana-Champaign?